When wealthy Chinese travelers head abroad, they’re prioritizing experiential luxury such as dining and seeking out unique cultural activities, but shopping still fits in big to their travel plans. 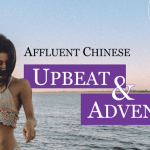 This is the finding of affluent-focused, Asia-based intelligence firm Agility’s latest 2016 “Affluent Insights Chinese Luxury Travel Report,” which uncovers key insights on the trends and consumption behavior of affluent Chinese travelers. 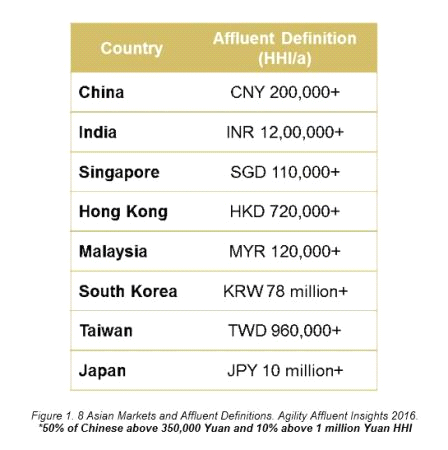 The data for this research has been taken from a study targeting affluent consumers across eight major Asian markets (see affluent definitions in Figure 1). For luxury brands marketing their goods and services in China, the report offers new insights into the tastes and spending habits of Chinese travelers, who make up a big chunk of the world’s luxury market. Overall, spend on travel represents one third of spend on luxury discretionary items, and close to four in five Chinese respondents plan to spend their money on travel experiences in the next 12 months, which is significantly higher than the average from all countries surveyed (three in five). Moreover, four in five affluent Chinese believe that they will more likely travel abroad in the future. This figure is consistent with last year’s result, which implies continuing growth for the outbound Chinese travel industry. The average number of leisure trips Chinese travelers take is currently 2.2 per annum. 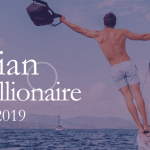 Which destinations do these affluent travelers plan to travel to? For the Chinese, the top three are Paris, the Maldives, and Tokyo. 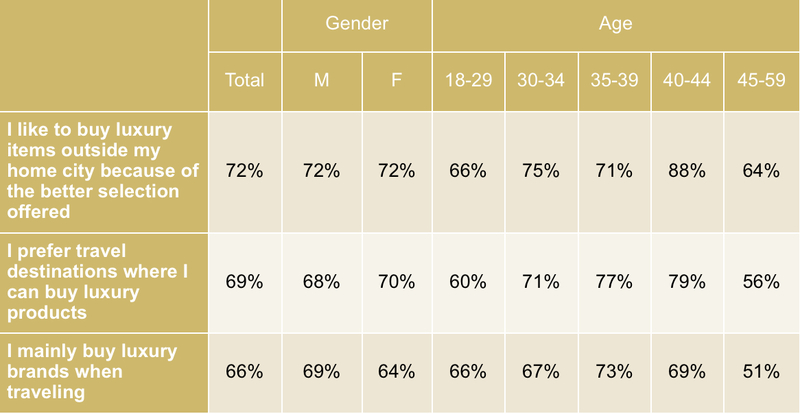 Some variations across age groups exist, whereas the top three for the young “AAA” generation (Affluent, Aspirational, Ambitious) are Seoul, Taipei, and Bangkok instead. The most notable insight here is that Hong Kong is no longer in the top three, and that affluent Chinese are planning to travel further and further away from mainland China. Across all countries, exploring local food and cuisine is the number one most popular travel activity, topping outlet shopping and high street shopping. For affluent Chinese, nature tours/safaris are in second place and outlet shopping is in third. It is not true though that shopping has lost its luster to food and adventures. It’s just that adventurous activities and trying out new things have become the more significant reasons for people to travel, and they have risen to the top of the list, as Chinese and other Asian travelers evolve. In fact, luxury shopping during travel is still very popular across Asia and in China, with close to seven in 10 affluent Chinese preferring to buy luxury when traveling. To better illustrate this, four in five affluent Chinese choose destinations where they can do new activities and have new experiences, and 93 percent agree that cultural offering in destination is an influential factor in their destination. 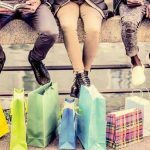 But 87 percent still agree that shopping offering in destination is an influential factor in destination choice, and seven in 10 still prefer travel destinations where they can buy luxury items. Luxury hotels also need to anticipate an influx of affluent Asian travelers into their halls. This is especially true for the affluent Chinese, as three in five claim that they always stay at four- or five-star hotels during travel and seven in 10 plan to travel more luxuriously in the future, which is again significantly higher than all countries’ average of slightly more than one in two. 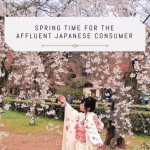 For brands to reach out to these affluent Asian travelers, social media plays a crucial role. Across all countries, social media is the number one source of awareness for luxury and travel. In all countries except China, Facebook is the number one social media website for source of awareness. In China, however, Sina Weibo and WeChat take the lion’s share. Based on our research, 94 percent of WeChat users use it at least once a week, which indicates a very big opportunity for brands to explore for their advertising and marketing campaigns. In summary, travel is the most popular item to spend money on among the affluent Chinese who have become more technologically savvy. They are traveling further and further away from mainland and Hong Kong, and are traveling more luxuriously. 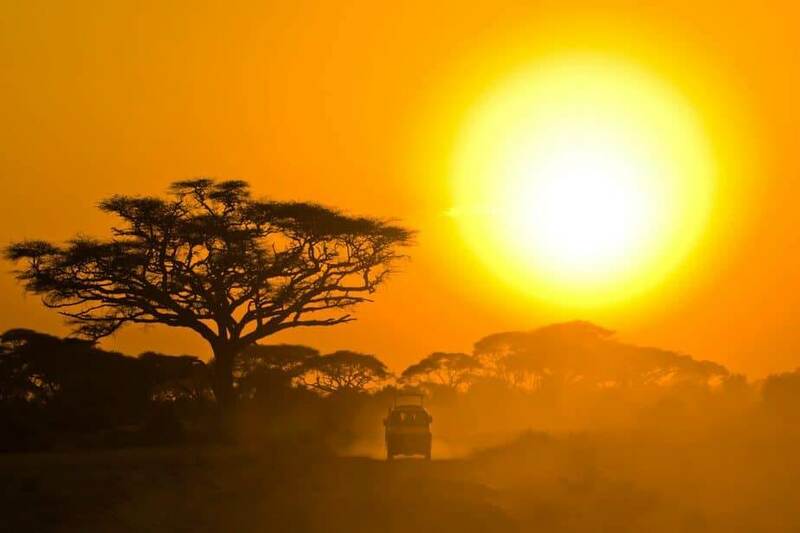 While natural, cultural, and culinary explorations and adventures have taken the top spots in the reasons for why they travel, shopping remains a popular travel activity to many.